It’s sweepstakes time, again! 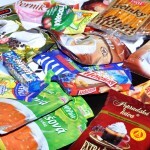 On my last trip to Slovakia I picked up a large assortment of Slovak goodies, such as those shown on the left. 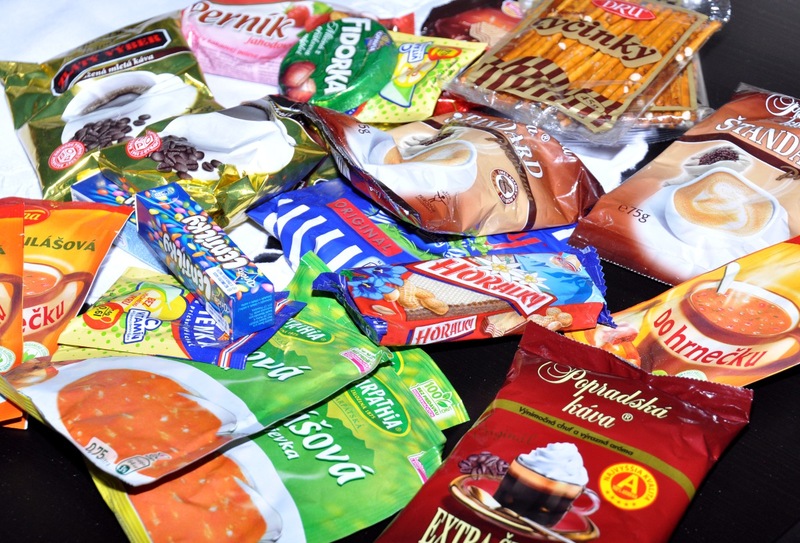 These include powder goulash soup (delicious, I was eating these while backpacking), and also many wafers (keksy), candy, and Slovak coffee. Some of these guys got little banged up during the transatlantic voyage, but they still taste great. So how does this work? Simple, just enter your contact info using the form below. No purchase necessary and no strings attached. Five winners will be selected on November 17th, and contacted through email. I will then mail the packages the following day, just in time for Thanksgiving. Please note, you don’t have to live in the US in order to enter. However, you will need to provide a mailing address in the US (could be a friend, or a relative) since it’s too expensive to ship internationally. By the way, why am I doing this, you may ask? Good question! First, I want to give you folks in the US a chance to try Slovak products, since they are not available here. But secondly, this sweepstakes is my annual fundraising effort. As you may have noticed, this website does not contain any advertisement, nor is it funded by any commercial entity. Instead, it is fully supported by readers like you. Your donations help cover the costs associated with web hosting and site maintenance, and also allow me to purchase the photo equipment needed to take nice pictures. It’s simple to donate, just use the link below. You can also mail in a check – email me first for my mailing address since I don’t like to post it here publicly. By the way, don’t feel that you have to donate if you don’t want to. A donation will not increase your chances of winning. Thank you for visiting and good luck! This sweepstakes is now over. The five winners selected by random (more specifically by SELECT * FROM ‘entries2011’ ORDER BY RAND() LIMIT 1,5) from 753 entries were Henry N., Dwight H., Ashley P., Stephen C., and Sara M. Congrats all and thanks to everyone for entering. 17 comments - What do you think? Thanks for adding a link to these sweepstakes! I’ve noticed quite a bit of traffic from your site. Hopefully some of them will stick around and become future fans of Slovak cooking. Update 11/5/2011. About 400 people have signed up so far. Make sure to sign up if you haven’t done so yet. And let your friends know too. Have you had rozanky before? My baba made it for me growing up. It is always a treat to have. Thank you so much. My husband recently had cancer surgery so I won’t be able to donate at this time. Thank you for your generosity. Oh don’t worry about it. I hope all goes well with your husband! Hey who stole the Kishka? It’s a song I remember when I was very young. My favorate was the Haluska song. I wish they had it on youtube. I found this. : Kishka is a Slavic word meaning gut, or intestine, that lends its name to varieties of sausage or pudding. The Eastern European kishka is a blood sausage made with pig’s blood and buckwheat or barley, with pig’s intestines used as a casing. It is traditionally served at breakfast. Is kishka sometimes made with rice instead of the barley or buckwheat? I think so.. My mom knew this one place that use to get it in Brooklyn if I’m not misstaken. Thanks Maria – and feel free to send in some of your recipes – especially the cookies and cakes (I am not much of a baker). And yeah, I haven’t been very good with the recipes lately. No time! This site and especially the feedback has motivated me to build another blog but one dedicated to my real background (plasma physics / scientific computing) so I’ve been spending a bit time on that lately. No problem thanks for writting me back. I will share recipe for odpalovane venceky.My favorite recipe to take to X-mas parties or kids birthday parties.Please forgive me because some words I can not translate it is better to write in Slovak. Stir flour and prasok do peciva a solamyl together. Melt butter and water add flour cook zmes until ball formed.Cool down and add 1 egg at the time with electric mixer until smooth and able to put in profesional bakery bag (vrecusko)and form small circles.Preheat owen to 400 F, 200 C and bake until lightly brown about 15 minutes. When circles are cool cut into 2 pieces and put aside. and about 1 spoon of flour to make a pudding thicker. Cook all in the pot make a thick mass like a thick puding.Cool down and mix unsalted soft butter.Fill the pastry bag with pudding mix and fill the circles. whip heavy cream and powder sugar and (stabilizator na slahacku it will stay thick longer )or just use american cool whip. Put top part of the circle (venceky)and melt milk chocolate with butter and decorate the top with chocolate and enjoy….Dobru chut!!!!!!! !